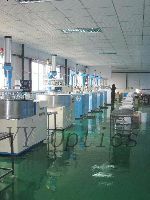 VY Optics Photoelectric Technology Co., Ltd. specialized in manufacturing kinds of optical precision components and lenses. Through many years' hard work and positive innovation, we have became a optical company integrating lens design, production and sales. Our company has strong production capacity, in possession of the domestically top production line and excellent workers, which mainly are composed of researchers and technicists of the Chinese Academy of Sciences, Changchun Institute of Optics and Fine Mechanics and Changchun University of Science and Technology, they are experienced and can produce wide range of optical articles. The prime products are spherical lens, windows, prisms, achromatic lens, cylindrical mirror, laser optical components, infrared optical components, various crystals and some other relative items. In addition, our company has independently developed a magnifier, microscope, telescope and kinds of conversion lenses. 80% of our items are sold abroad, in the meantime we also cooperate with internal companies, we offer OEM service!